Death – the only guarantee in “Game Of Thrones” … pretty bleak ‘ish, huh? Ain’t noooobody safe in Westeros. Character deaths constantly pushes the show’s plot forward in ways unlike any other show in history. Veteran fans expect death; as viewers we’re treated to a wide range of killing: carefree deaths, cute deaths, sad deaths, epic deaths and gratifying deaths (just to name a few). While some deaths hurt viewers’ feelings, other deaths felt good – like reaaaal good. Obviously we wouldn’t wish harm upon anyone (in most cases), but the people below had it comin’. We’re compiled a list of the most satisfying/ joyful deaths in “Game Of Thrones.” Enjoy our list of the most vile, evil and demented in the land! They wear small gloves, duh! Petyr aka Little Finger masterminded almost every dubious scheme in “Game Of Thrones.” In-fact, homeboy literally set the show’s plot in motion by giving Lysa Aaryn the poison that killed Jon Aaaryn (history lesson: Jon Aaron’s death caused Robert Baratheon to appoint a new Hand Of The King in Ned Stark)! Casanova over here threw the Seven Kingdoms into disarray cus he was peanut-butter ‘n’ jealous of Ned and Caitlyn Stark (Petyr obsessed over Catelyn). His plotting nature generationally screwed the Starks; especially Sansa whom he married to Ramsay Bolton. Only a horrible man would bargain a young teenager to a lunatic (Ramsay), so when Sansa’s sister, Arya, slit his throat we felt no potty. 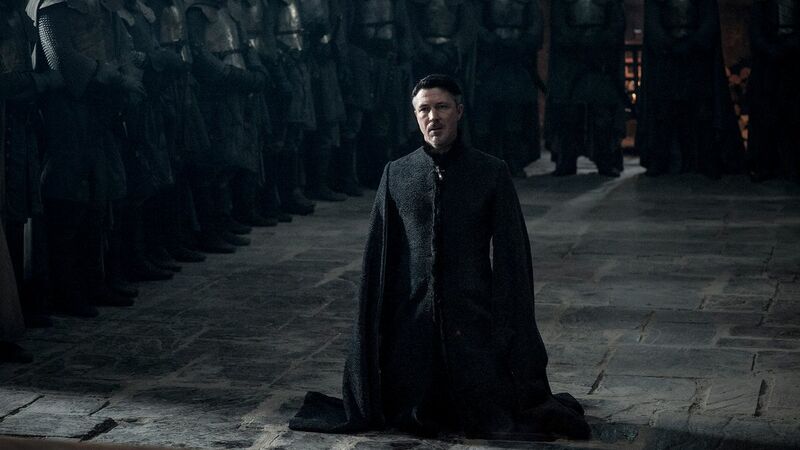 Actually, many of us were ecstatic to see Little Finger get got! Raise your hand if you wanted to see someone drop kick Joffrey in his royal jewels. This kid was literally the worst in every sense of the word. Always disrespectful, always snotty, always trying to kill prostitutes… It was no secret early on that young Lannister was a twisted lil’ SOB. We wish there was a better way of saying this but seeing him get poisoned (a popular theme in this show) put the biggest smile on our faces. Maybe it was the in-breading, maybe it was too much power at a young age – either way Joffrey was designed to be unlikeable. Bravo script writers, job well done. Shout out to “South Park” and their Chili Con Carnival, if you know you know. 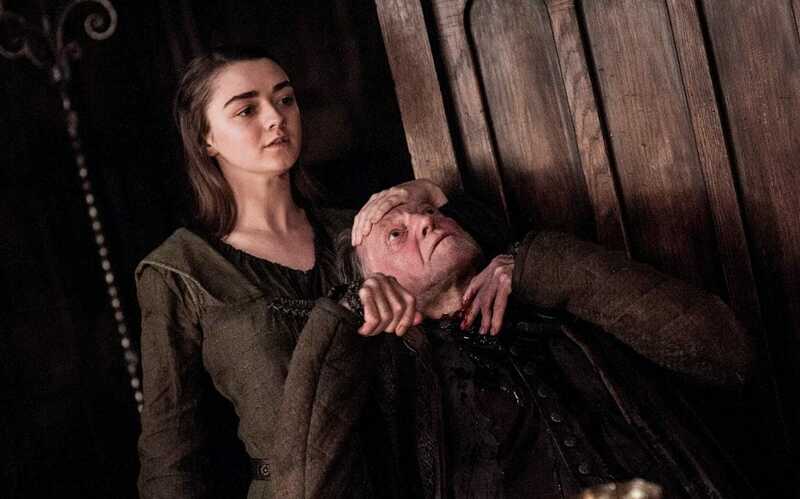 In one of the most badass moments in TV history, Arya Stark used her face-swapping ninja skills to infiltrate House Frey, butcher Walder’s sons and feed them to Walder before slitting his throat!!! 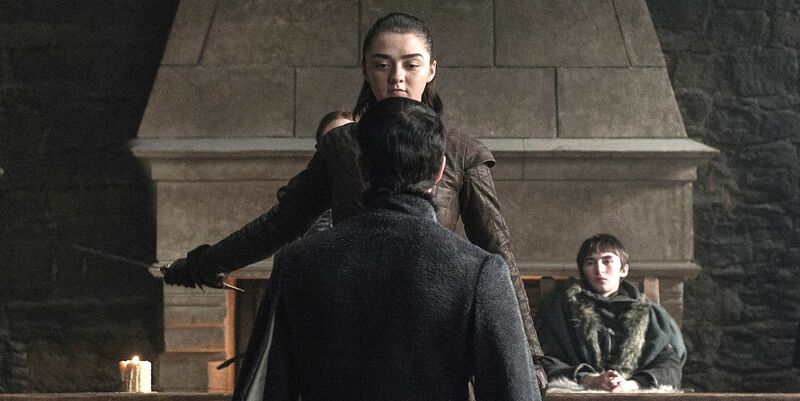 To top everything off Arya impersonated Walder, gathered House Frey and poisoned every person that played a part in ‘The Red Wedding.’ How savage is that? 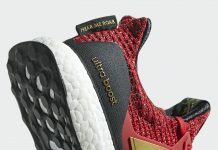 God it felt good watching every Frey die – salty bastards. Go to Dictionary.com and peep its entry for “satisfying” and you’ll find a picture of Ramsay Bolton’s dogs eating his face off. In one of the show’s greatest power-moves, Sansa Stark kept Jon Snow from killing Ramsay at the conclusion of the Battle Of The Bastards so she could get the last laugh. Sansa knew firsthand how vile (understatement) Ramsay Bolton was, actually, she knew better than any living human at the time outside of Theon. Torture was the name of Ramsay’s game. 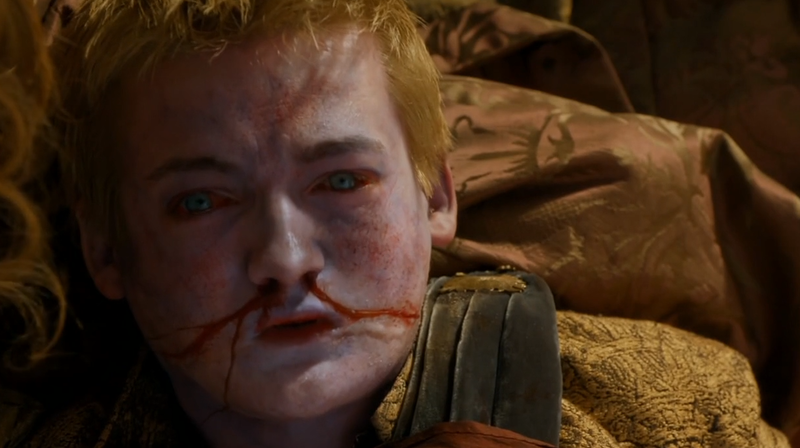 Like, he did some twisted sh^t that makes Joffrey look like a saint. Yeah, it would’ve been dope to see Jon beat the life out of Ramsay, but watching his prized hounds turn against him delivered the deeper levels of satisfaction. Big talk flowed out of his mouth until Ramsay realized he was royally screwed. 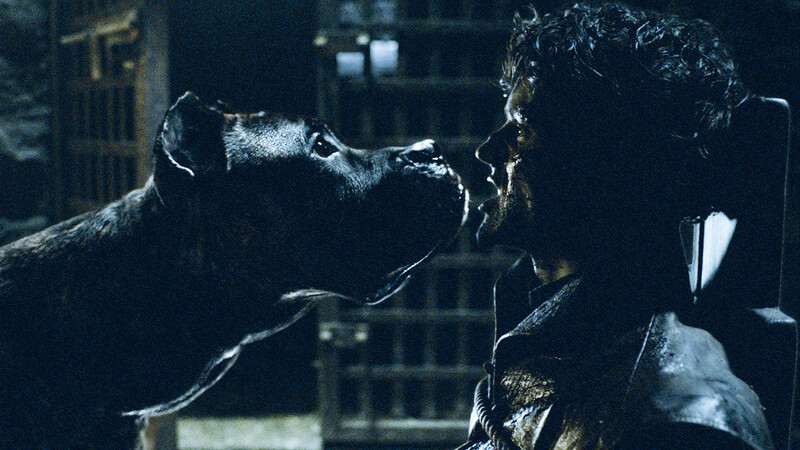 News flash, Ramsay, your beasts weren’t all that loyal. The audience had such a clear understanding of how evil this character was so seeing him die felt better than watching the end of “The Mighty Ducks.” S/O to Sansa watching the whole thing too – you freaky, girl. Which “Game Of Thrones” death gave you the most satisfaction (in a non-creepy way)?